Turning the device over you will find the sole exterior difference between the two models -- the pinhole-sized microphone ports. The dual mics were relocated from the left and right of the camera to the top-center of the back and the center of the top edge. 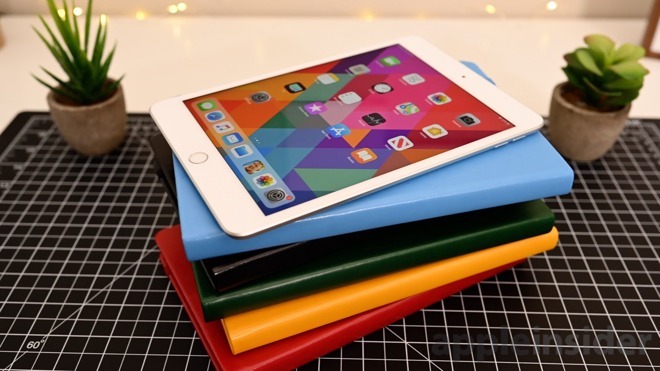 it is a minor difference but it does cause issues with cases designed for the fourth generation iPad mini. The physical sizes of the tablets are the same, but older cases will block those two mics which is important to consider. 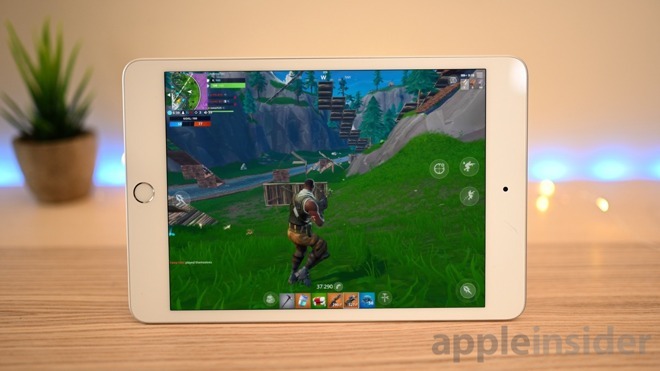 Our normal alternatives for mobile gaming would be our iPhone -- which packs a smaller display, our Nintendo Switch -- which has poor controllers and a subpar display, or our larger 12.9-inch iPad Pro -- a far less portable option. Coming in as Apple's cheapest tablet -- other than last year's iPad -- it is clear there will be compromises made in terms of features compared to Apple's other tablets. Most people are going to be perfectly fine passing on all these features. Apple focused on the mini where it mattered -- performance -- and that's exactly what we got. I own the 3rd generation iPad Pro 12.9 and the new iPad mini 5 and also the iPhone XS Max. Having all 3 is the only “no-compromise” iOS choice for me. Hardly a toy - the new mini 5 which I recently bought, it is the ultimate consumption device. 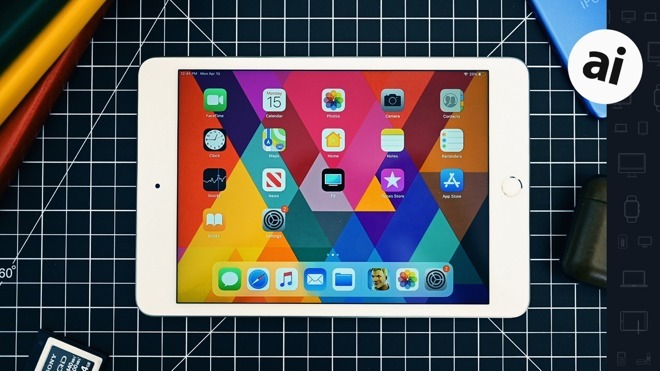 Unlike all the larger iPads, the mini is just the right size for holding. For the same reason practically all e-readers are similar in size to an iPad mini and not larger. When I am at home, the mini is my primary go-to device. With Apple pencil support, and a folding keyboard, it is by far the most capable productivity solution that fits into a coat pocket or purse. For most productivity tasks my iPhone XS Max, even with the same folding keyboard and a decent stylus, is a PITA. The iPhone XS Max is great for a camera and some basics tasks, but it’s far behind the iPad mini 5 in terms of both a decent consumption and productivity device. Just today using my iPad mini and Apple pencil on the go, I received a document that I marked up with my Apple pencil, and then sent back. Not as ideal as doing it on the 12.9 iPad Pro, but still a near hassle free experience. Apple pencil support on the iPad mini is a productivity game changer. For getting real work done - I tend to do that in coffee shops, I bring along my 12.9 iPad Prom with Apple Pencil V2, and an Apple magic Keyboard. Even the 11 inch iPad Pro doesn’t come close for productivity. It’s still too small. I have used the 9.7, and 10.5 sizes for years, and the 11 inch iPad Pro is not large enough it make a difference. The experience doing work on anyone these iPads always felt constrained. The 12.9 iPad is for me the ONLY iPad that makes for a truly effective productivity device. Large enough for practical split screen, triple columns in the mail app, and extra on screen tools that just don’t fit on an iPad 11. The latest 12.9 inch iPad Pro is also almost exactly the size of an 8.5x11 inch letter size paper, and very similar to European A4 paper sizes. Working on documents with a smaller iPad is always a compromise because they cant match “real life” size like the 12.9 iPad can. Even the larger iPad is not ridiculous to use as a handheld device - something I would not say about the first 2 generations with their large bezels. For Apple News and magazines, pages can be “real-life” size, no need to zoom in on parts of a page. My MacBook Pro and my iMac at home get very little use. To me they both feel like outdated computing forms. There are a very small subset of tasks they can do which they iPads can’t. Still I rarely use my Macs at all. They are a much greater pain to maintain to - with needless complexity. Even with Apple’s help I have yet to get my SSD on the iMac to correctly report free space. Every since copying over a large folder from iCloud, it has been messed up. None of the typical solutions have worked. I’m probably going to have to wipe the iMac and restore it. There is no one size fits all device - not for all people - not even for an individual. Apple missed the opportunity here to really bring something fresh with the mini. If they had gone with iPad Pro design elements (small bezels, pencil 2, 4k recording, face id) I would have been all over that. I just have this nagging feeling that a “Pro” type device with an 8” screen would be a winner, especially under $700. I realize this would have been a complete redesign, which probably looked less than ideal vs just updating internals. Nonsense narrative, of course. When I did business development I had a Mini in my satchel, it was perfect for email, reviewing spreadsheets, and product photography. You have some silly ideal in your head that all work is running CAD or sometime. So, not even original. 1-star. Oh look, another one. So you’re saying, if anyone finds value in an Apple product which you don’t find value in, they’re a paid shill? Uh huh. Tell me more. Fascinating. Do you have a newsletter I may subscribe to? And more expensive. Have you not noticed all the whining recently about Apple products that do more costing more? I am one of those dwindling few who still owns an upgraded Newton 2000 and ever since adopting that green, video tape sized device, I have prayed for apple to come up with a modern version. Well, they have now. Add Nebo for perfect hwr and the mini is my new Newton. I have been using the iPad Pro, 9.7 then 10.5, for a couple of years and recently downsized to the 2019 mini. It has been a writer’s perfect device. My wife is still enjoying the heck out of an iPad mini 2! We will eventually replace it with this model (probably used by that time! ), especially now that I see the extremely impressive upgrade in performance from the even the mini 4 — it’s a good reminder of just how amazing the progress on Apple’s A-chips has been over just the past few years. I'm the owner of many 9.7'' iPads and a 10.5'' iPad Pro and recently bought an iPad mini and quite love it. I like bringing my laptop to Starbucks and occasionally bring my 10.5" iPad also, but I always include the mini these days because so much more lighter and smaller. The mini is a very useful form factor for many myself included. 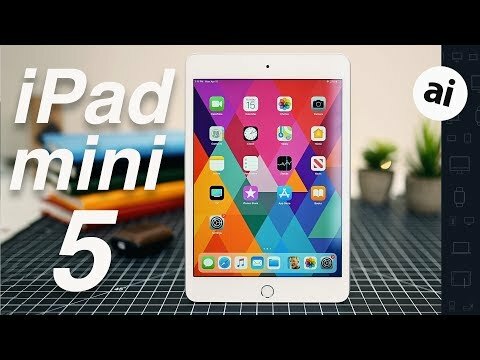 The mini 5 price/performance combination is a real bargain. As soon as I sell a few older iPads I will be getting one. 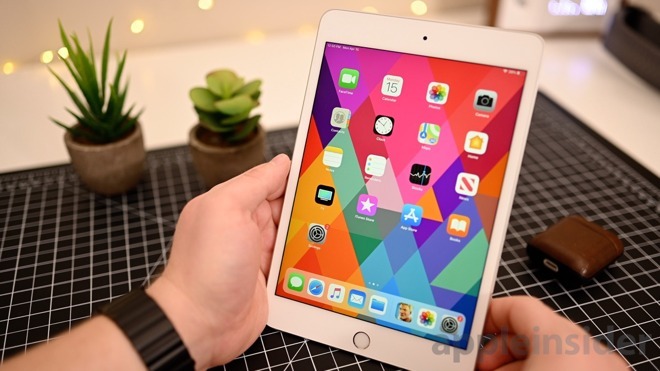 It seemed like I read somewhere that people in the medical community really like the size of the iPad Mini because it's a lot easier for them to carry than it a full size iPad is. Yawn. Android sheep aren't particularly clever or knowledgeable. I have the same exact mobile setup as you, and agree on all fronts that it is a great combination. My setup goes a bit further, as I have an iMac Pro, and latest Mac Mini and MacBook Air. As a pro iOS developer, I use all devices most days and am quite pleased. Having the right tool for the job was an investment, but pays dividends daily in productivity and low friction in all my use cases. For what it’s worth, my wife and I each have iPad Minis and we use them constantly. We got them mainly for one purpose each (she for writing, I for reading magazines) but soon founds lots and lots of other uses. Neither of us has any interest in a larger size iPad. We love being able to carry them around in a bag/purse and we don’t need anything larger. We’re very glad that Apple decided to renew the Mini and not kill it off. WTF Tim!! Where are my cheques?? yes, it would but so what? 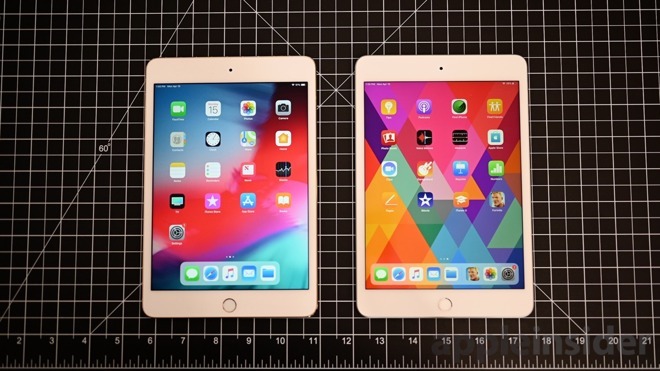 Imagine of Apple took the 9.7" iPad screen size and gave it the iPad Pro design treatment or came out with a screen size in between, like 8.5"? 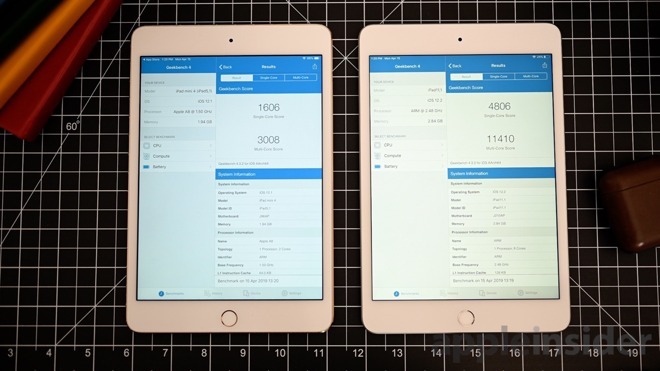 That would be small and light enough for a great consumption-focused iPad based on the new design. I don't think it's out of the realm of possibility that Apple is thinking of such a product. Not really. I’m seriously thinking about getting one for my truck. It would be a better GPS solution than a tiny iPhone but not so big that it would be in the way like the larger iPads. I need to put more thought into this but the iPad Min just might be the ideal travel tablet. I suspect that A12 will become Apples baseline processor moving forward. Or to put it another way the ML processor will be a big part of Apple future software development. This will age pre A12 hardware real fast as the capabilities of Neural Engine gets adopted by more and more software and even the OS. There is typo, Should be 11410 score. Just FYI.